beautybliz.com / Barneys New York Loves to Love You, Baby! Barneys New York Loves to Love You, Baby! This is the most decadent trick or treating we have seen in Halloween history. It's coming a bit early, in honor of Barneys New York's Love Yourself event, taking place from October 15 to 19. Well, look what just landed in our office. We'll be winning beauty battles all weekend, thanks to this brimming bag of fierce lip shades, scents, creams and serums. While we'd gladly drop and give them fifty to get this bounty, all you need to do is shop and give them $250. And you'll get all of this. For free. On the house. Gratis. Are you picking up what we're putting down, sisters? Any purchase of Barneys New York men's grooming, women's beauty, fragrances, cosmetics and treatments qualify for this event. 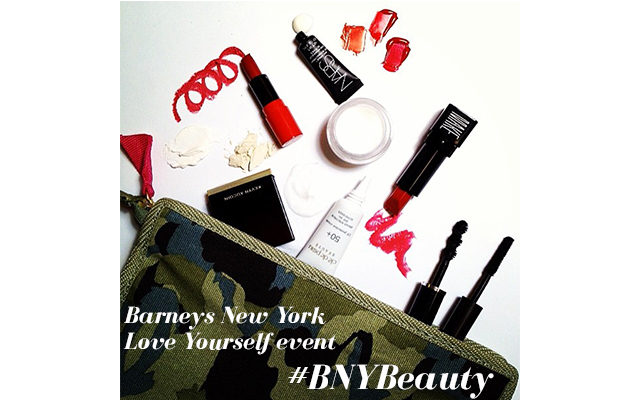 Be sure to follow #BNYBeauty for more coverage of this event on Twitter and Instagram. You'll be the first to know about future Barneys New York events, too.